Last week I talked about the ups and down of becoming a Mummy. The mixed emotions, feelings and the ways in which I dealt with this. Read last week's Mummy Monday: Surviving Mummy hood post by clicking on the link, if you would like to catch up. I had a few emails and comments asking about how to work from home? What I thought? How much did I earn working from home?. So to start off here's my top 5 ways of getting started to work from home. Firstly you need to work out how much time you can give per day and per week. Secondly figure out why it is you want to work. Is it for money? A type of hobby? lack of stimulation causing boredom? Or to just feel like your doing your part for the household or yourself? Once you have figured these two questions out you can decide which of these options below is best for you. If you decide that money and an actual job is what you need then you want to write down a list of skills you have and edit your CV. If your a Mummy then there will be spaces within your CV. 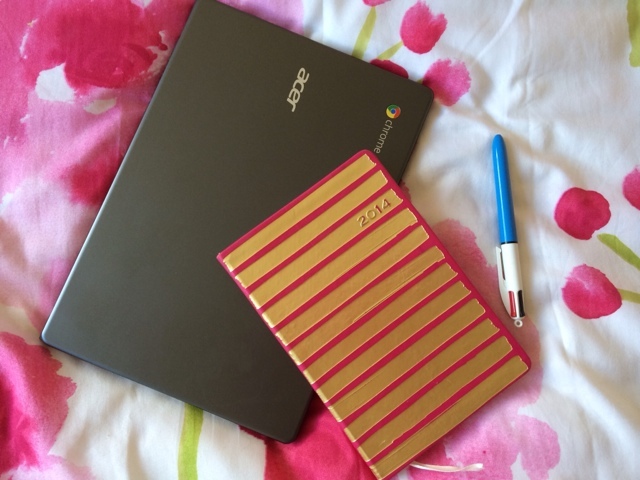 Try and fill them with goals you have achieved in that time period whether that be personal, a blog you wrote or skills that being a mummy taught you. Employers will be impressed that you had the initiative to show them other aspects of your life. If you have specific skills sign up to websites such as People per hour, Elance and Freelancer. You can offer your skills out to company's when and if you require work or you can find a more permanent position being a virtual assistant, writer or social media whizz kid. The list of home based jobs is quite endless but skills based around office type positions are most desired on these sites. If your skills lie more in sales and marketing then try your hand at being a rep. This type of work can be hard to achieve a set wage but if you enjoy working for your self, setting targets and pushing to achieve all you can then you may find your naturally quite good at this type of role. There are places such as Usborne books, Avon, Kleeneze and many more. Usually they involve paying a small fee up front to gain your starter pack. Only hard work and perseverance will guarantee you your money back and a continual wage. Jobs like these will either flop or sky rocket in success, only you can make that happen though. If your the creative type starting your own business on Facebook has never been easier. If your a crafty individual then put your hands to making something, not only will this be an enjoyable hobby but also earn you a few spending penny's. Think knitting, making bunting, hair slides or outfits. Anything you can make, someone somewhere will be in need of it. There is so many sites out there offering cash, vouchers or products for your time. You will never be rich from this but it can help towards cost of living. A lot of companies pay you for taking short surveys on a wide range of topics. Payment is usually in vouchers, love to shop or Capital bonds giving you a huge choice of places to spend them at. If your just after a bit of fun or stimulation and a few free things along the way then sign up for product testing sites. I've had test products from food to beauty to baby essentials. All they require is you give your truthful opinion on the products after a week or so of trialling. This is the one job I mentioned that most people are curious about. I can't tell you where to sign up too, where you work or what you earn per job as it is against all agency's guidelines, obviously it's called mystery shopping for a reason. What the job involves is entering a premises, shop or business and talking to staff about there products. It involves a great deal of acting as you can not let on as to why you are really there. Sometimes you need to make a purchase which is usually part or fully re payed back to yourself and you get to keep the product, bonus. Once the job is completed you then need to complete a report at home covering things you saw and did in store. Again this is not a job that will keep you with a steady income n=but more a hobby and little spending money here and there. Top tip: If the work your going to start from home pays an income you will need to declare this to the tax man and write yourself down as self employed. If you start declaring an income when working from home you need to remember your outgoings and expenses. This includes printing equipment, stationary, travel and many other things. All these things are taken into consideration bringing your total income down and tax payments down too, equalling more money for shopping or boringly bills. Let me know what other information you need or want and I will do my best to help. Do you work from home? If so what do you do? Any tips you can pass on? Great information here! Thanks for taking the time to lay it all out! Great post thanks for sharing your wisdom.